iPhone 8 8P X LCD screen EEPROM photosensitive data programmer is the new launched items from china market, as for an new product, Maybe you want to know more information about it's functions and how to use it. 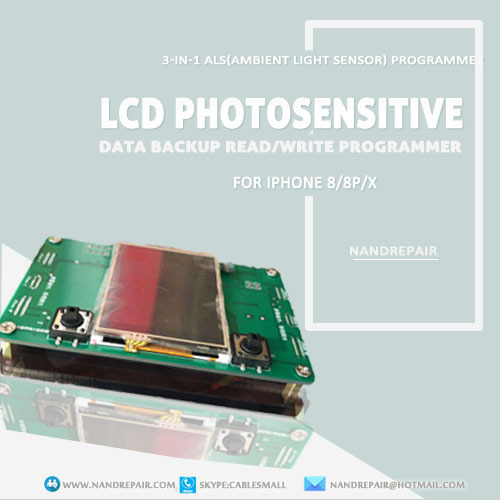 today, nandrepair will give you more news about 3 in 1 ALS(Ambient Light Sensor) Programmer for iPhone 8 8P X LCD Screen Repairing. Please note: This item can only be used for original screens, aftermarket screens are under developing. It was widely discussed that iPhone 8/X series ambient light sensor stops working after screen replacement. After the iPhone 8 ALS issue was properly exposed, solution for it has been a hot topic for the industry. So there's a programmer box, which perfectly solves the auto-brightness issue. First use the original screen to use, because you want to read the original screen chip data and write it to the assembly screen! 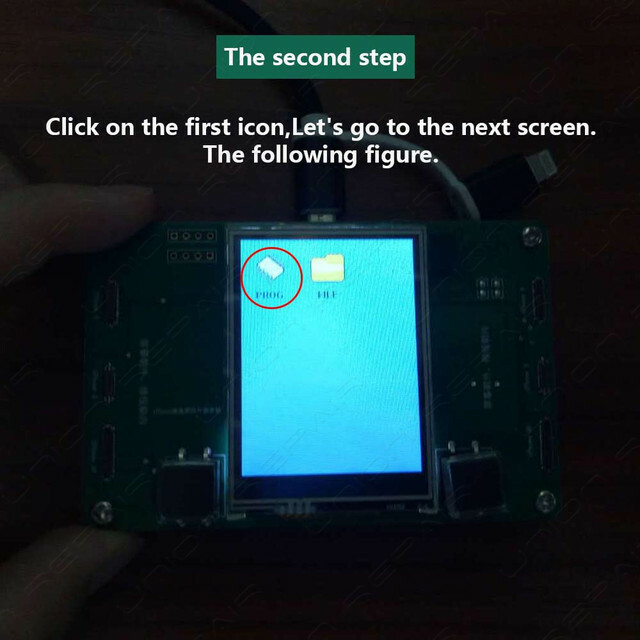 Simply put, boot into the chip interface, the left button to the original screen, press to read, read completed, and then deduct the screen to be written, point to write. The iphoneX readout chip has only two characters of MG, which will not affect the writing! Because the X code is not at the beginning, all iphoneX are garbled behind the MG. This file preview is the beginning of the preview file. The 8/8P readout is a direct serial number! 1. First use the original screen to use, because you want to read the original screen chip data and write it to the assembly screen! 2. Apple's recently released 12.0 beta version is easy to verify, and some customers have solved the problem of sensitization by upgrading the system! But after the official version is released, these system vulnerabilities will definitely be fixed. System vulnerabilities are not a long-term solution, so you must use work. Auxiliary solution! 1. Support offline and online operation, with touch screen, easy and fast operation! 2. English versions, follow-up upgrade bilingual switch to meet the needs of global customers! 3. Support Iphone 8, 8p and X. 4. You can back up more than 200 chip files and upload them to your computer. 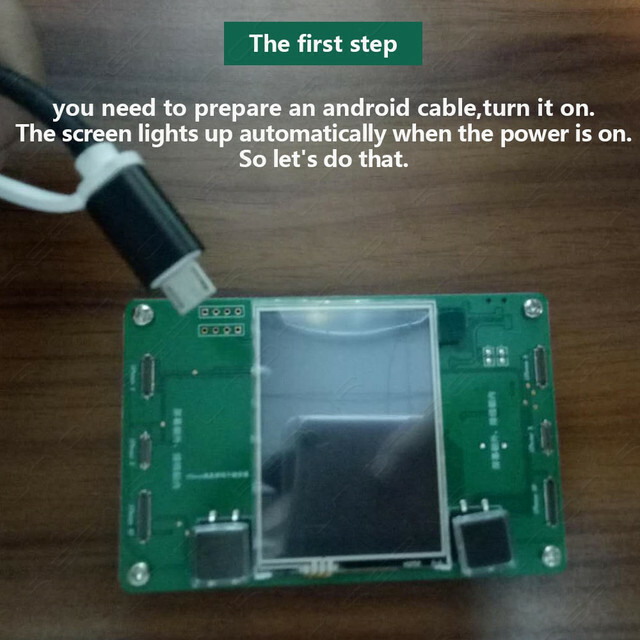 The function of this function is that after replacing the original screen of the customer with the assembly screen, we can back up the original screen chip files! If the customer's assembly screen is damaged again, we can easily replace it with an assembly screen and write it back later! 5. Small size, easy to carry for the home repair, good workmanship and durability. 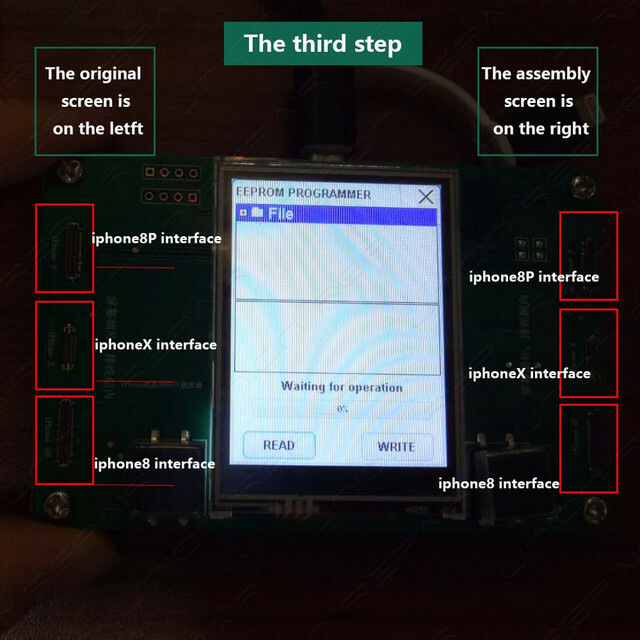 How to use LCD Sensitization repair Programmer for iPhone 8/8P/X?